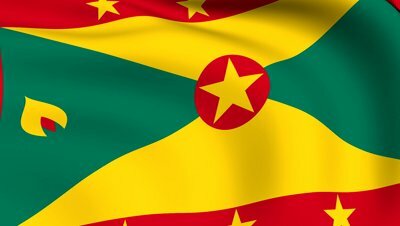 With less than three weeks to go until Grenada’s 40th Independence Anniversary Celebrations, Government buildings and private establishments have already begun draping their red, green and gold decorations in anticipation of the upcoming landmark celebrations. This year’s independence festivities will occur under the theme “Uniting our people, restoring hope for a brighter tomorrow”, with activities that promise to make it stand out from the rest. Speaking to the GIS on Tuesday, Parliamentary Secretary with responsibility for Culture, Senator, The Hon. Brenda Hood said that she is pleased to see the decoration efforts thus far, and hopes that within the coming weeks more buildings and offices will be decked for the occasion. She said that for this year, she wishes for the patriotism to go beyond that of decorated buildings to a sea of persons dressed in the colours of the National Flag on 6 February 2014 — National Colours Day and 7 February 2014 — Independence Day. More than just a day to wear the colours of the Grenadian Flag, Senator Hood said that National Colours Day should be looked at and used as an opportunity to ignite national pride and promote togetherness among fellow Grenadians. “It’s about building awareness; of being proud of our country and nationality. We need to promote it because we are all proud to be Grenadians,” Senator said. For the Senator, the observance of National Colours Day is also about passing on valuable customs to the younger generations. She said that a special effort should be made to get youngsters involved, so that they can continue with the legacy and pass it further on. Although the Ministry is seeking the full participation of all Grenadians on 6 February, it is aware of the economic challenge and is encouraging persons to wear what they have. “We don’t want people to put themselves in expenses just for National Colours Day. Persons may already possess an article of clothing that is red, green or yellow. What we are encouraging them to do is to wear that article on 6 February, and showcase a colour of the National Flag”, Senator Hood said. The Ministry is currently running a television and radio promo that is encouraging all Grenadians to wear a national colour on 6 February in recognition of Grenada’s milestone achievement.